It’s hard to believe it has been a month since our father, Floyd Dee passed away. It is only just now setting in that he is no longer with us. Thank you to the many wonderful people who’ve expressed condolences to our family during this difficult time. It has meant so much to us. Graveside service for Floyd Dee Adams, 65 of Ferriday,LA will be held at Heard Cemetery, Manifest,LA on Monday, July 13, 2015 at 2:00 PM with Bro. Curtis Lambright officiating under the direction of Young’s Funeral Home. Floyd Dee Adams was born on Thursday, January 12, 1950 in Yale, OK. and passed away Thursday, July 09, 2015 at St Francis Medical Center in Alexandria. The family will receive friends at Young’s Funeral Home in Ferriday from 10:00 AM til 12:00 noon, Monday, July 13, 2015. To leave an online condolence for the family please visit www.youngsfh.com. 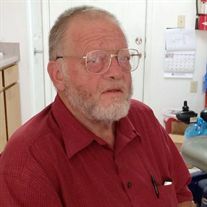 To send flowers or a memorial gift to the family of Floyd Dee Adams please visit our Sympathy Store.